Mark October 1, 2011 on your calendars. 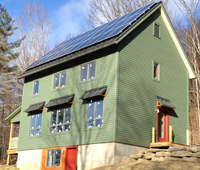 We’ve signed up for the Green Building Open House (sponsored by the Northeast Sustainable Energy Association) and the National Solar Tour (sponsored by the American Solar Energy Society). Consider yourselves invited.